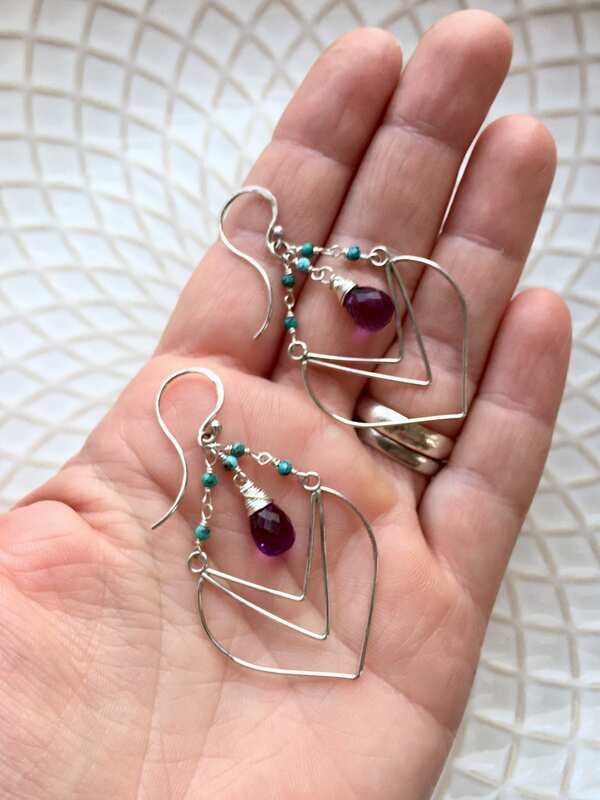 These are hand-soldered sterling silver chandeliers inspired by Art Deco motifs. 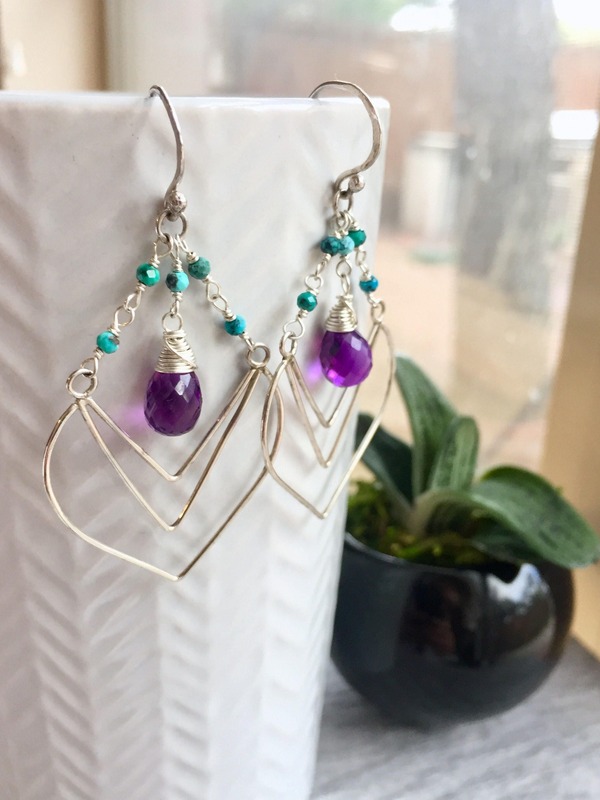 High-quality Chinese turquoise suspends the earrings from the hand-shaped and hammered ear hooks, and a beautiful round faceted drop of dark purple amethyst hangs in the middle. 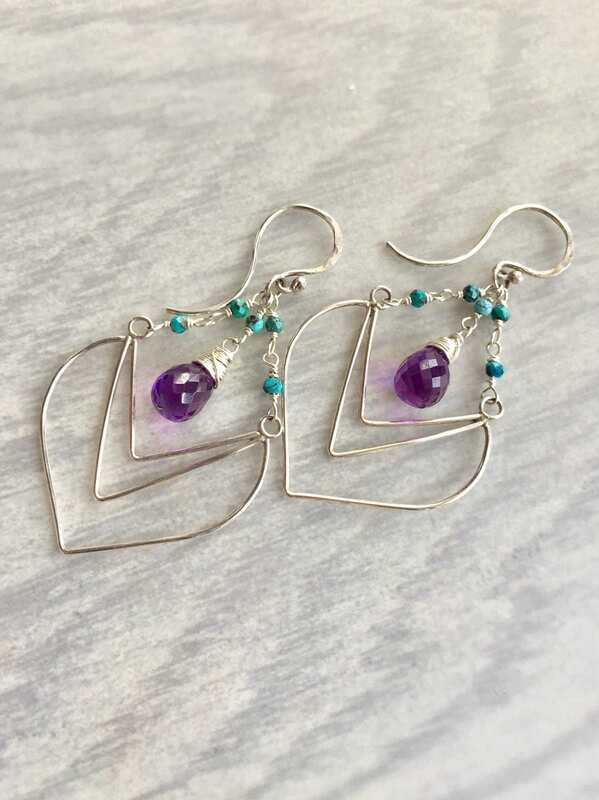 • The amethyst stones are approximately 10x7mm. 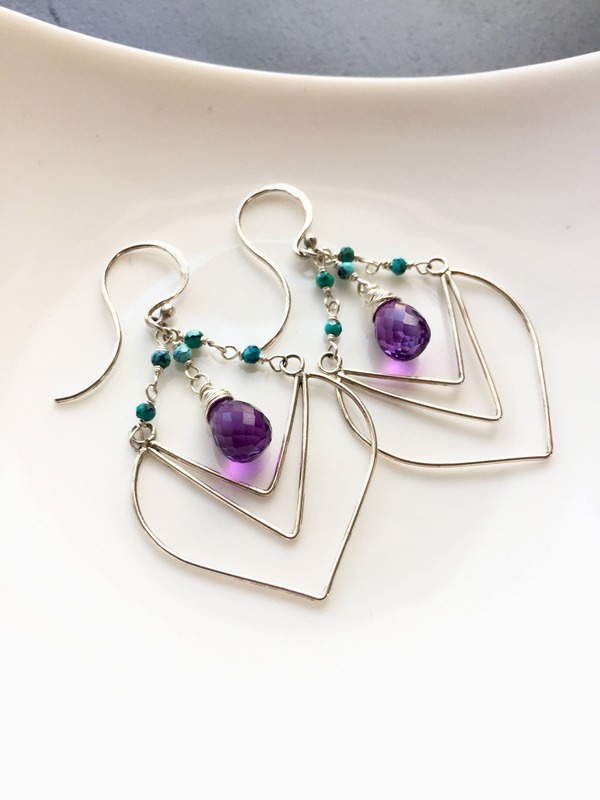 • The earrings are 2.25" from top to bottom. • Your purchase will be delivered in an elegant gift bag, ready to give or wear. Gift wrapping is available at checkout. The Nouveau Deco Collection is just that: a new take on classic, classy, decorative motifs. 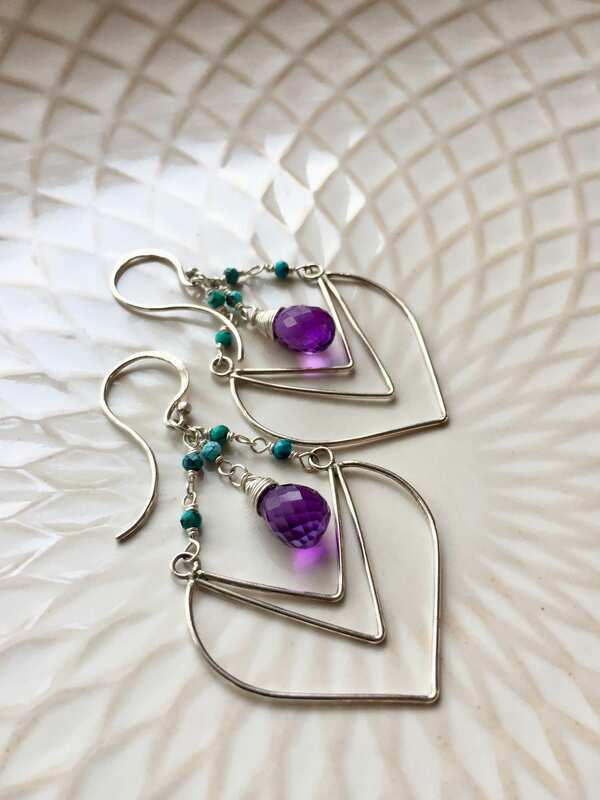 The geometry, the curves and swirls, and the repeating patterns give these pieces unique and eye-catching detail. 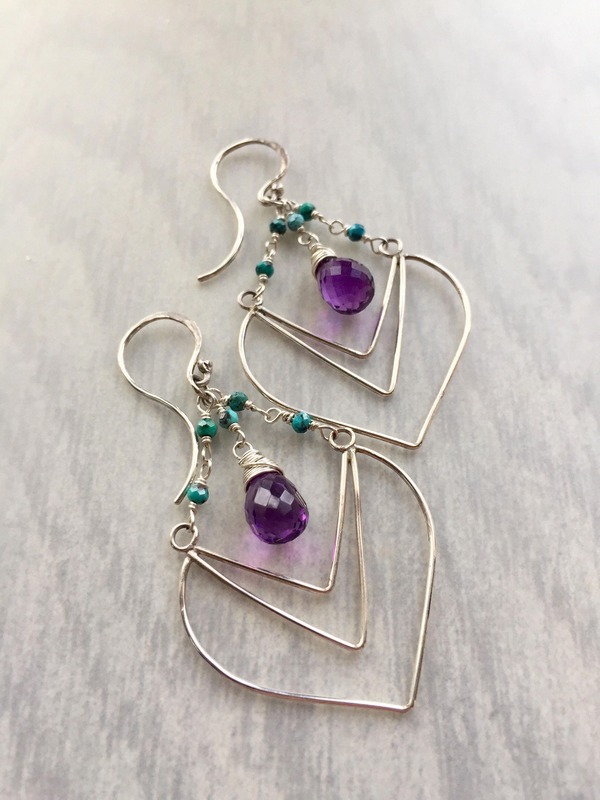 These are a bridesmaid gift for my sister and I secretly want to keep them for myself. 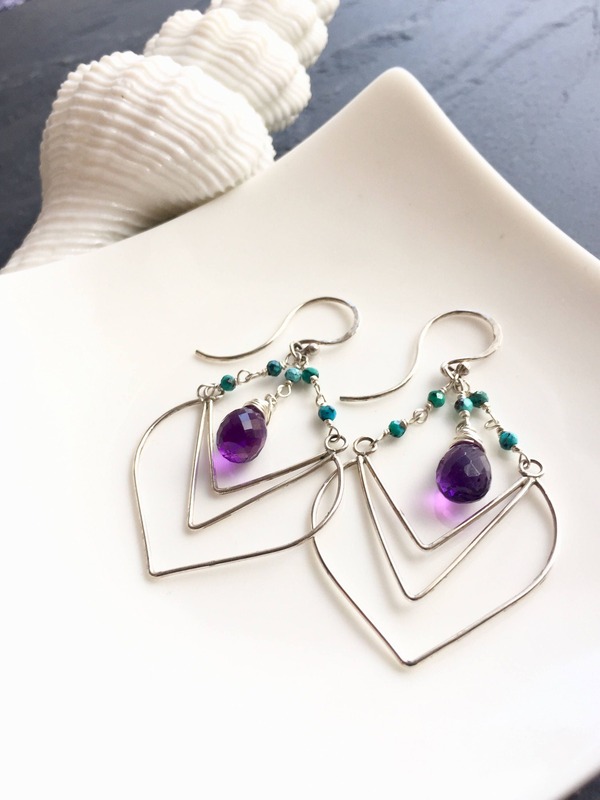 They are a stunning pair of earrings!